Information can be hard to come by sometimes in the IDD service system. We’ve heard these five myths thrown around like facts over the years, and we’re here to set the record straight. 1. MYTH: Brokerage services are only for people who don’t need much help. FACT: Brokerages serve people with all levels of support needs, from those who are more independent to people who need frequent assistance. Support Services are meant to keep people out of Medicaid-funded residential placements and in their own or their family homes for as long as possible by supplementing the help they already receive with paid supports. This combination of family/community help and paid help can help even medically-fragile folks stay out of facility-based care, and at home with their loved ones. 2. MYTH: I have to come to Brokerage services knowing exactly what I want, or they won’t be able to help me. FACT: We can figure it out together. Brokerages are all about helping you create goals for the life you want to live, both long and short term. Sometimes it only takes a meeting or two to talk over the possibilities and decide on a plan. Other times it’s a longer process. Your Personal Agent will be there with you, whatever you need, with more formal Person-Centered Planning, or just the time to talk it over. 3. MYTH: Each Brokerage has its own rules. FACT: While each Brokerage is a separate, independent agency, we all follow the same state rules and guidelines. The Oregon Administrative Rules can be found online here. The rules specific to Support Services only can be found here, though we are beholden to many of the other rule areas, such as Case Management. In addition to the administrative rules, the state Office of Developmental Disabilities Services gives us guidance on specific topics in the form of worker guides, manuals, and documents such as the In-Home Expenditure Guidelines. That said, we are independent agencies, with our own business models and operational policies and procedures. While we devote a lot of time to aligning our understanding of the rules, there are times that we will come to different conclusions. We hope you’ll be patient in bringing issues to our attention so that we can find a solution. 4. MYTH: I don’t have a lot of money, why do I need services from a broker? FACT: We aren’t fiscal brokers, we’re disability services brokers. This means that in addition to basic case management, our Personal Agents help connect people to direct service providers that fit their needs. People who qualify for these services are all eligible for Medicaid, which means that not having a ton of money in savings is part of the enrollment criteria. The funding you get through Support Services is a social benefit, through state and federal funding sources. This means that your service funds are tax-payer dollars, and while it’s important that we are good stewards of these funds, it won’t cost you anything to access them. 5. MYTH: Brokerages are all full, if you choose one you’ll be stuck waiting for services. FACT: Most Brokerages currently have capacity to serve new customers, and all of them work with local Community Developmental Disability Programs (CDDPs, often your county) to take new enrollments as you request them. 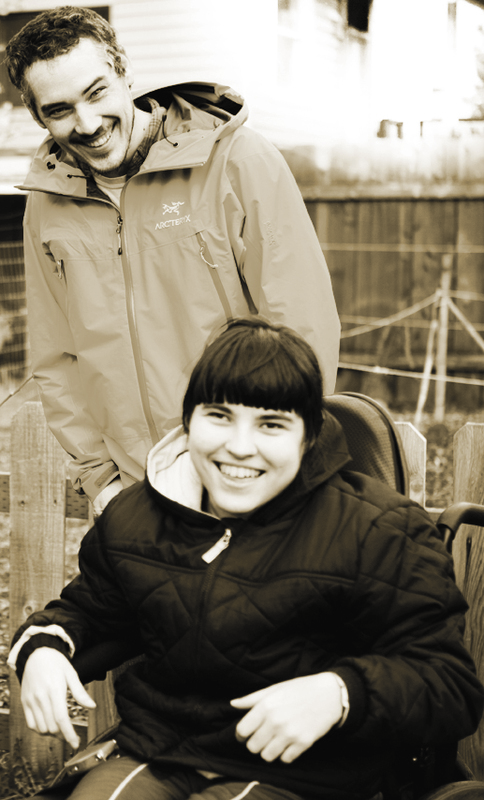 We serve adults (18 and over) with a documented intellectual or developmental disability. If you aren’t yet eligible for IDD services, you need to call your local CDDP and ask for an intake worker. The CDDP staff will help you through the eligibility process from there. Click here for the county phone directory. Once you’ve been found eligible for IDD services, all you need to do is let your intake specialist or current county case manager know that you’d like to work with a Support Services Brokerage. Visit the My Brokerage, My Choice website to find out more about the Brokerage(s) serving your area. Please feel free to contact your chosen Brokerage to let them know that you’ve selected them; this helps us ensure a smooth referral process. So, now you are in the know. Have you heard other rumors or myths? Tell us in the comments!